James Island is located just across the harbor from downtown Charleston. Because of its great location, many residents who work downtown actually live on James Island since it's the shortest commute you'll find. James Island is ideal for home buyers who want the affordability and space that a suburb provides with the closest possible proximity to historic downtown and the beach. The great public schools also add to a strong demand from home buyers. Are you looking for specific features in a James Island home? Try out our fully customizable search feature that lets you search for homes that fit your needs perfectly. Search James Island real estate listings by property type, home size, number of bedrooms, price range, and many other features! James Island real estate is especially popular among locals because of its laid back atmosphere and its independently owned shops and restaurants. Sure, you'll find some big chain stores like Chick-fil-A and Walmart, but most residents prefer the local businesses that have a character all their own. If you like outdoor activities such as kayaking, fishing, boating, walking, or rock climbing, you will find lots to do without ever having to leave the island. Or, if you want a day full of shopping or sightseeing, downtown Charleston is just a few minutes away. James Island Food and Entertainment - This suburb has a wonderful selection of independently owned restaurants and local chains. There are too many good choices to name them all, but some of our favorites include Smoky Oak BBQ, Bohemian Bull tavern, L.D.O.B., Roadside Seafood, Melvin's BBQ (pictured below), White Duck Taco, Ladles, and Kickin' Chicken. You can also find some big chains like Pizza Hut and Chick-fil-A. 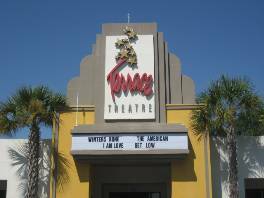 You will find two movie theaters - the Carmike (located on Central Park Road) and the Terrace on Maybank Highway (dedicated to independent and smaller-budget films). If you're looking for an IMAX theater, the Citadel Mall in West Ashley is just a 10 minute drive. The James Island County Park has more than 600 acres of paved walking trails, intramural fields, picnic areas, a new playground, and a dock for fishing and crabbing. Annual passes are very affordable (about $15 for Charleston County residents) and grant you access to all other county parks throughout Charleston. 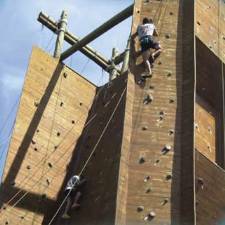 The James Island park offers more recreational options at an additional cost, such as the climbing wall (it's the largest in South Carolina, measuring 50 feet tall). The Splash Zone Waterpark is usually open from the beginning of May to early September. Since most James Island neighborhoods don't have swimming pools as amenities, this is a nice option for families with younger kids. Here you can also enjoy the best dog park in tri-county Charleston. In November and December each year, the park features one of the best holiday light displays in South Carolina. People come from all over the state to drive through the Holiday Festival of Lights and take advantage of its events like the Fun Run & Walk, Gingerbread Competition, and train rides. The Charleston County Park and Recreation Commission has a 2nd location on James Island at McLeod Plantation. At this circa 1851 cotton plantation, visitors can tour the owners' home, see inside the preserved slave cabins, learn about the rich Gullah/Geechee culture in Charleston, and view a 600 year old oak tree. Admission is free for up to 4 people if you have a park Gold Pass. 2 Golf Courses on James Island - The Charleston Municipal Golf Course has been open to the public since it was established in 1929. As it's called by locals, "The Muni" is especially good for first timers and players who are still new to the sport. Featuring one of Charleston's most affordable games of golf, it's no wonder that more than 60,000 rounds are played each year at this course. 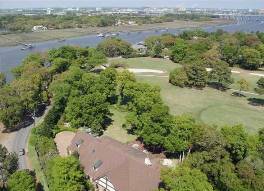 The Country Club of Charleston is a members-only club and is the closest golf course to downtown. From its location on the Intracoastal Waterway, there are spectacular views of the marshes and Charleston Harbor. Real estate in Country Club is perhaps the priciest on all of James Island since it's the only true golf course community on the island. James Island's Water Access - Boating is an extremely popular pastime on James Island because it has some of the easiest water access you will find in Charleston. James Island has the most public boat landings of any suburb, so you don't have to own a private dock or live in a neighborhood with boat facilities in order to enjoy boating. The Riverland Terrace Public Boat Landing is located at the back of the island and tends to be less crowded. The Wappoo Cut Boat Landing is technically on the West Ashley side of the water, but it has plenty of parking space and perhaps the best location (just minutes from Charleston Harbor). Another good public landing is off Sol Legare Road which puts you right onto the Stono River. 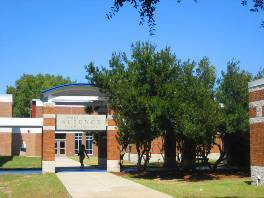 In Charleston County, the James Island public schools are second only to Mt. Pleasant. For more info on public school rankings in Charleston, GreatSchools.com is a good resource. Also, check out Charleston County School District. You'll find 4 public elementary schools on James Island (Harbor View, James Island Elementary, Murray-LaSaine, Stiles Point) and two middle schools (Fort Johnson and James Island Middle). 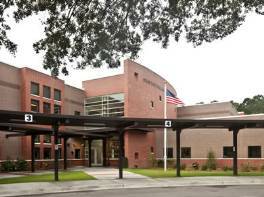 James Island Charter High School serves all James Island residents. This was actually the first high school in the state to convert to charter status. With approximately 1,500 students, it's also the largest charter high school in the southeast. All students are encouraged to choose among four majors in order to help narrow their search for a future career: Arts and Humanities; Business and Information Systems; Engineering, Industrial, and Manufacturing Techonologies; and Health, Human, and Public Services. The high school offers students a wide range of clubs and after school activities. In addition to the usual marching band and ROTC programs that you'll find at most public high schools, James Island Charter also has Yoga, Engineering, Sailing, Surfing, and French. You'll even find The Green Team, which is an environmentally conscious group dedicated to recycling and raising awareness about various environmental issues. The athletic program at James Island Charter is also quite good. 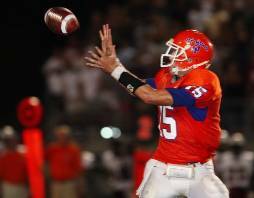 It offers traditional sports like football and basketball as well as those that are becoming more and more popular in public and private schools, such as golf and field hockey. James Island is also one of only a handful schools in Charleston that offers competition cheerleading. James Island offers a mix of residential homes amongst small commercial sites, giving residents easy shopping without the traffic, noise, and congestion that accompany large scale outlets. A variety of big-name stores including Lowe's, Wal-Mart, and Harris Teeter intermingle with doctors' offices and other small businesses. Virtually all shopping can done quickly and efficiently without ever having to leave the island. 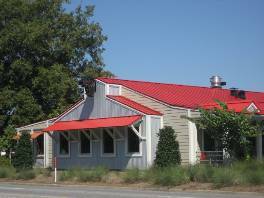 Numerous locally owned and operated restaurants span the range from local seafood and vegetarian fare to nationally recognized hamburger stands. For those interested in one-of-a-kind boutique shopping and fine dining, however, downtown Charleston is only a quick drive over the Connector. Less than ten minutes will put you on Hwy 17 South towards the Citadel Mall, on Highway 17 North towards Mount Pleasant, or on I-26 towards Northwoods Mall or the Tanger Outlets. The location of James Island is second-to-none for home buyers wanting the convenience of small town living with the benefits of living next to a large city. The mix of James Island SC homes for sale, townhouses, and condos in this area also make it an excellent choice for those looking to downsize and simplify their lives, or for those interested in purchasing viable rental property. With the College of Charleston, the Medical University of South Carolina, and Charleston School of Law just across the harbor, this is always a popular place to call home for students.